Jeremy Scott has definitely arrived at Moschino, folks, and what does he choose to do with the brand? Well, he brings consumerism front and centre with one of the biggest brands in the free world- McDonalds. For those of you that love your Big Macs as much as Bulgari, fries as much as Fred Segal, and Mcnuggets as much as Max Mara, this is a dream come true. 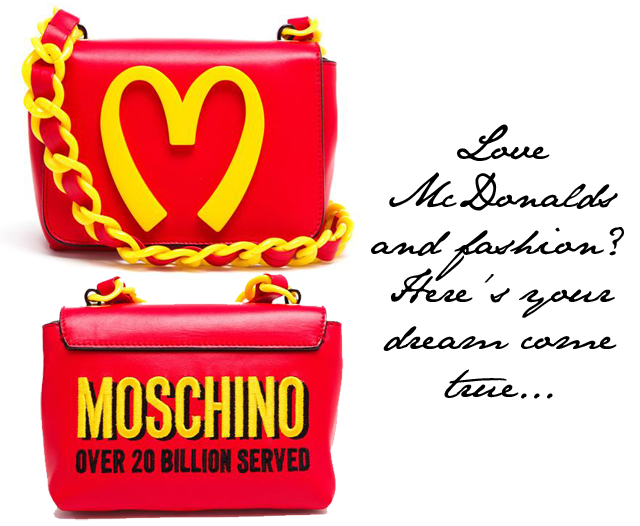 Fashion meets fast food, it's happening and it's all going down with Moschino.